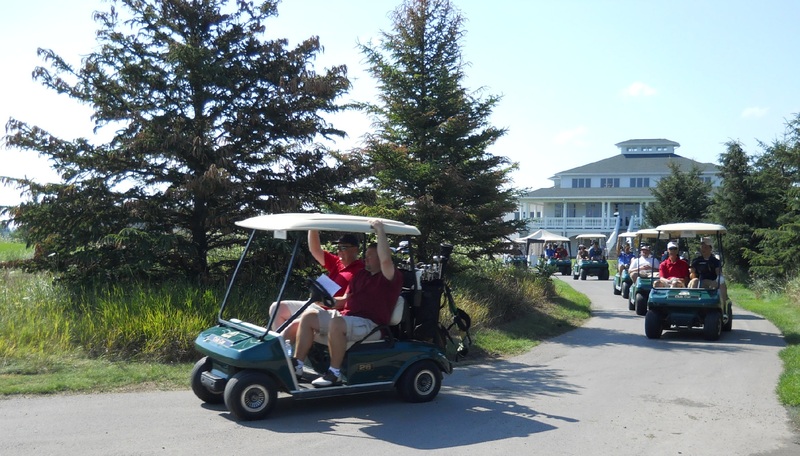 Another year of fun in the sun at FVTC's golf outings to raise money for students. The FVTC Foundation works tirelessly to provide scholarship support to students in need. This summer they held not one, but two summer golf outings that raised over $91,000 for scholarships. The first outing was held on July 20 at Foxfire in Waupaca on a day with a heat index well above 100 degrees; the second was held at Royal St. Pat’s in Wrightstown. We had many wonderful friends, staff, and business partners of the College golfing in these events. Even though the Foundation awards nearly 700 scholarships each year, 60% of the students who applied last year were not able to be supported with an award, and the unmet need continues to grow. I know these scholarships mean the world to many students and I’m confident that, one day, they too will give back to their community and assist others in need. Right now, we are asking our own staff to support the work of the Foundation, and ultimately the goals of our students. As we celebrate the College’s centennial this year, the staff giving campaign theme is “A Century of Caring” and the goal is to have 100% staff participation in this, our 100th year, and to add $175,000 to the scholarship and other funds of the Foundation. This is a big undertaking, but if anyone can help make this goal a reality, this year’s campaign chairs can—Patti Jorgensen, Ken Kempfer, and Linda Schraa. Let’s get behind their efforts, have some fun with this challenge, and support the needs of students through the great work of our Foundation! Do you think we’re up to it? ?